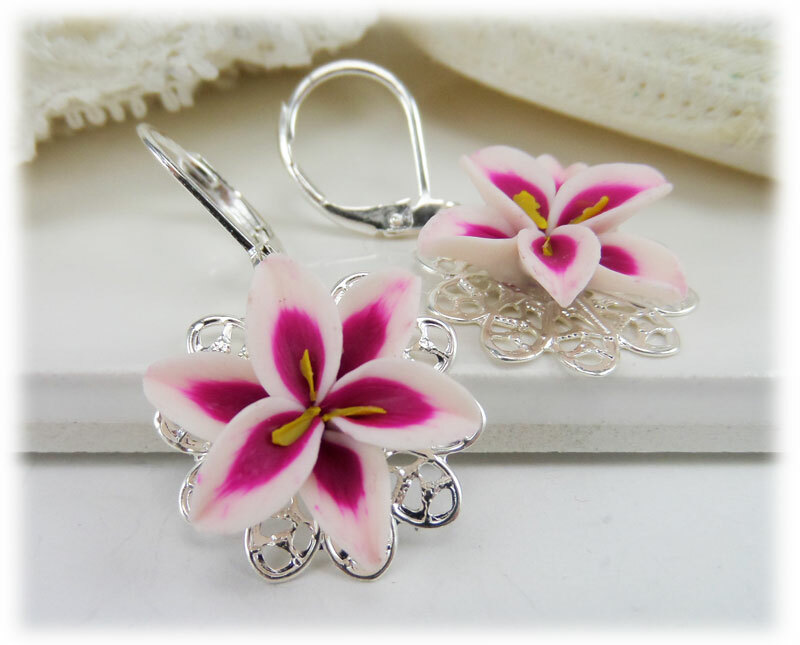 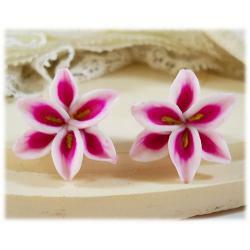 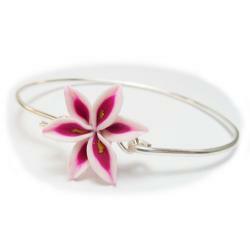 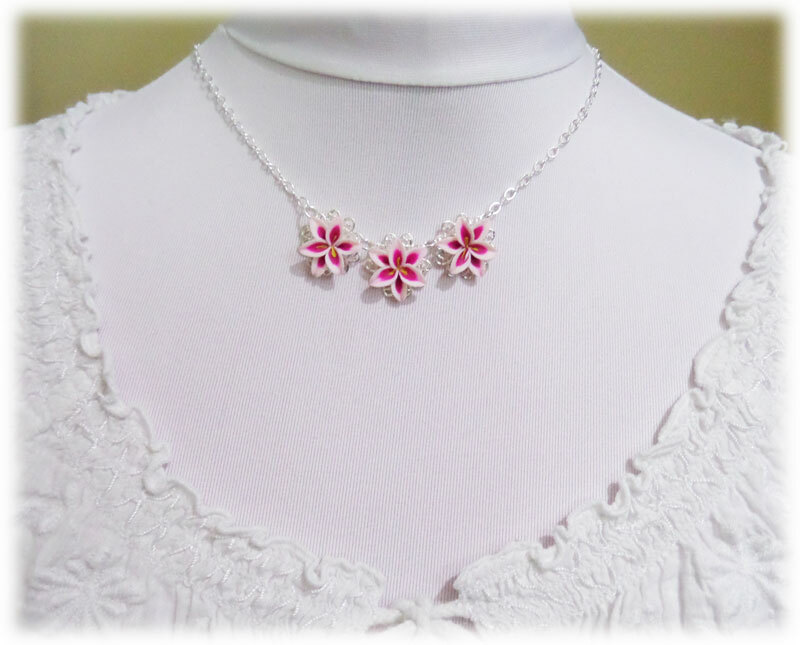 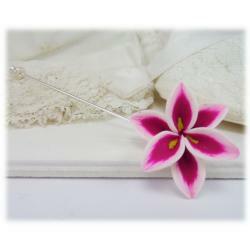 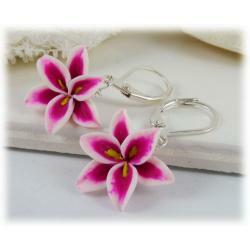 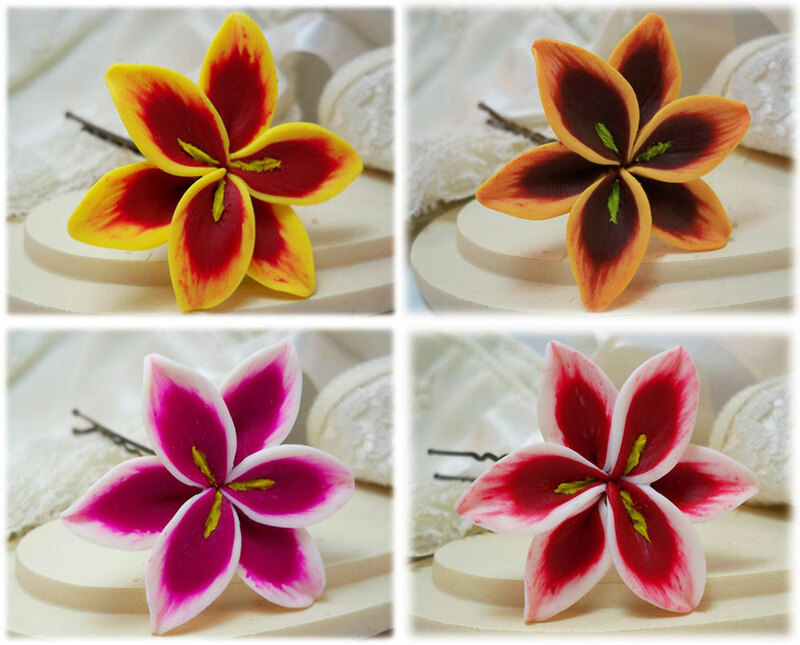 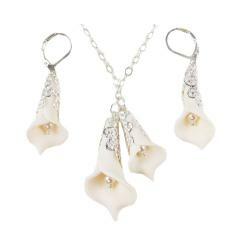 Hand sculpted stargazer lily jewelry set. 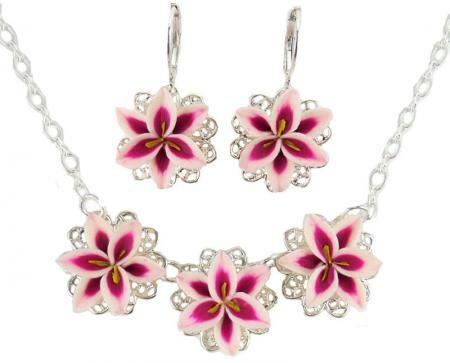 Stargazer lily flowers are on a choice of a silver-plated, gold-plated or antique brass style necklace with matching earrings. 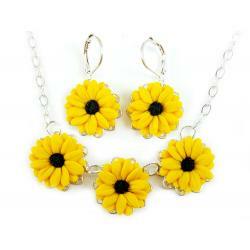 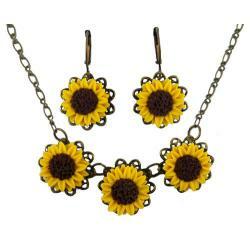 A very lightweight necklace set and not too large but very eye-catching!